We’ve Completed over 10,000 roofing projects. 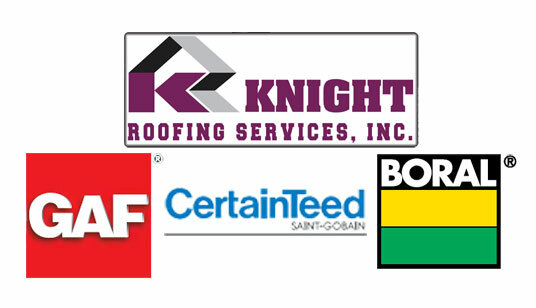 Knight Roofing Services has become one of the top-rated roofing companies for high quality workmanship and outstanding customer service. Considered a mid-size roofing company, our success of performing jobs in a timely and professional manner has allowed us to succeed on over 10,000 completed projects. That’ a lot of satisfied customers. David brings 39 years of technical experience and customer service to every job. Starting in 1976 as a roofing installer David moved on to become a production manager. His on the job know how helped him to develop skills that assured projects were done on time and with quality workmanship. Then, he filled the residential reroof sales position. Here, his unique perspective allowed him to offer his customers’ value priced roofing options. As the president of Knight Roofing Services and an expert in the roofing industry David firmly believes in training his staff as well as educating consumers. David Rice, experienced and dedicated president of Knight Roofing Services Inc since 2005. knight roofing fremont ca.